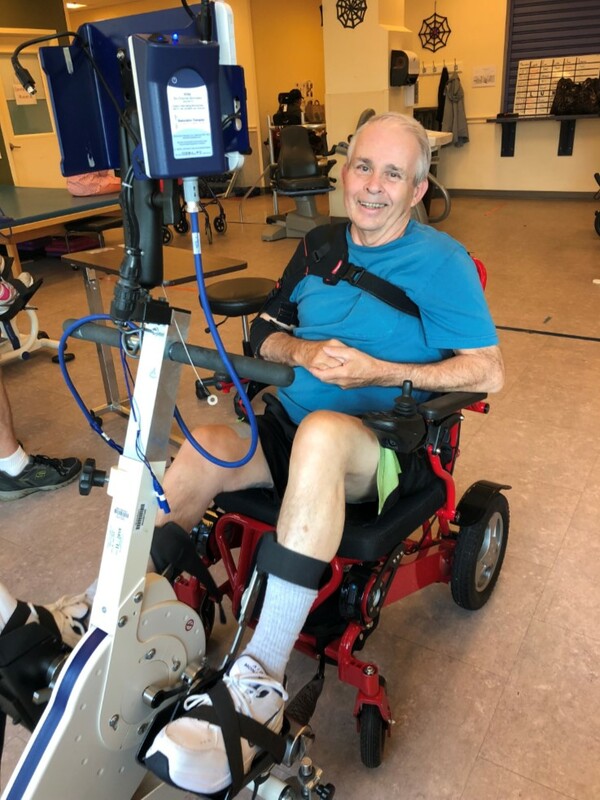 Each month, the Health & Wellness Center at Magee Riverfront honors one of its clients as the “Wellness Triumph of the Month.” Today, meet Bill. In June of 2017, Bill Mays was making improvements to his lake house on the Lebanon Reservoir in upstate New York. While installing a floating swimming dock, Bill suffered a stroke. After inpatient therapy, Bill decided to continue his journey to recovery at Magee by joining the Health and Wellness Center that October. Today, he comes to the Wellness Center a few days per week to work on walking with a cane and to use the Lokomat, RT-300 stim bike, Nustep, and the Bioness. Prior to retirement, Bill was a college professor of mathematics and surveying, spending his summers at the lake house growing blueberries. Bill attributes much of his success to hard work and the help of his wife, Dawn.